Are you curious how SOCIFI's Sponsored Mobile Data solution works? All it starts with the Engagement App. New Mobile Application or SDK Integration. Through SOCIFI Engagement Solution (SES), the subscribers can save on a monthly bill thanks to Sponsored Mobile Data by their favorite brands. The Carrier sells more Mobile Data and the Sponsor gains new followers, likes and qualified leads. 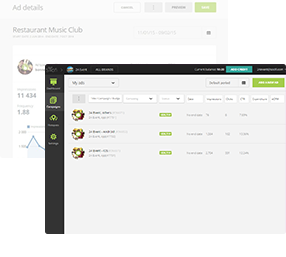 When an App already exists, SOCIFI Engagement Solution can be integrated as an SDK into the existing Application. Mobile Internet & Savings At The Same Time. Advertisers benefit from premium ad inventory and the 4G Operator increases loyalty from existing customers. Subscribers have the option to choose their preferred brands to become their mobile data sponsor. Advertisers and brands can build brand awareness and gain new followers and fans in a way no-one has seen before. Create ads to encourage people to visit your website. Simple promote your Facebook fan page, gain more fans & check-ins and/or promote your Twitter page, gain more followers & tweets. Yeah, that is Social WiFi features in real world. Creating Survey is one of the best ways to engage the visitors. Create a Survey using emoticons to let the visitor express their satisfaction. Or create a Survey using question & answers option. Create ads to encourage people to install an app of any kind. 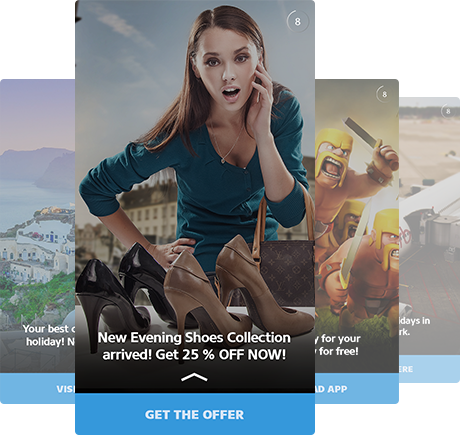 Create offers for your customers to redeem them in the store. Online videos are an exciting and interactive way to engage people and encourage them to visit your site. YouTube video supported! The App Provider defines the form and the value of rewards. Rewards can be exchanged for discounts or fully sponsored goods and services with a value depending on engagement with the sponsor's' content. 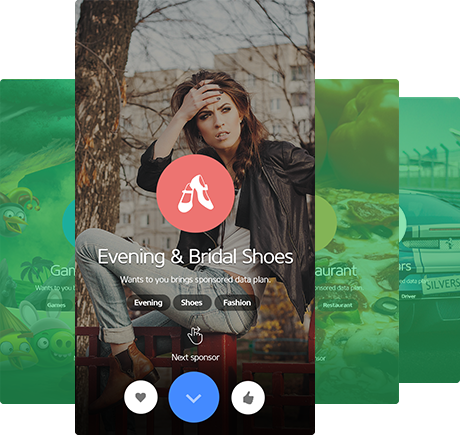 The Sponsor delivers paid content on which the value of the reward is calculated. Engage your subscribers in the right place at the right time. All that thanks to Push Notifications. Geo-location allows advertisers to engage with subscribers through the Text Message or Push Notifications informing them about reaching a venue with a special deal. 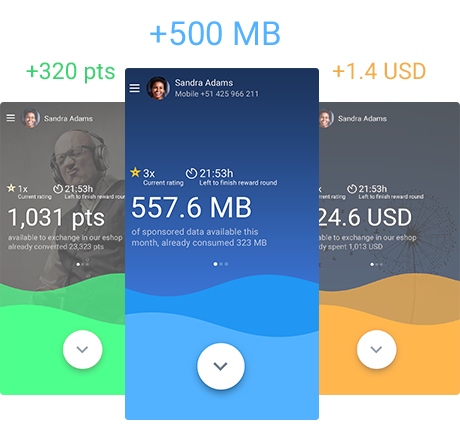 Simple-To-Use Market Place for Mobile Data Sponsorship and campaign creation. 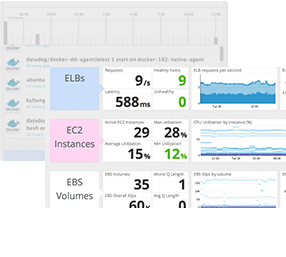 All managed by Cloud-Based SOCIFI Dashboard. 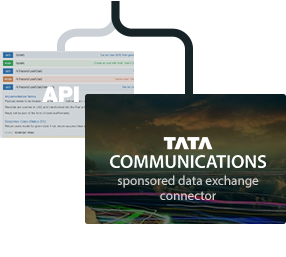 Complete Data Exchange TATA Communication Connector or Stand-Alone API makes the Sponsored Mobile Data Market Place available for any MNO or VMNO. SOCIFI uses scalable state-of-the-art technology and constantly monitors all systems to make sure the Carrier gets reliable, robust but still easy-to-use cloud-based platform. Provide Advertisers and Sponsors with a Cloud-Based SOCIFI Dashboard enabling the Campaign Management, analytics, reports, and billing. All-in-One. Sponsored data connectivity is an opportunity to create a win-win-win scenario for carriers, subscribers and brands. Unlock new mobile data monetization opportunities by offering Mobile Data Plan Sponsorships. Engagement with favorite brands is an amazing option for saving on subscribers monthly bills. Sponsors get new followers, fans and engade with a new target audience. At the right time, at the right place. Are you looking for Sponsored Mobile Data Solution? Need more information about SOCIFI and our innovative Sponsored Mobile Data solution?